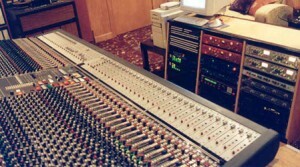 Karen Kane’s audio engineering classes are located in Wilmington, North Carolina. The classes are taught in a professional studio with state of the art equipment. There are 5 courses plus one-on-one intensives, starting with the fundamentals of audio to recording and mixing full bands. Classes have limited enrollment to allow a “hands-on” learning experience and are offered at a fraction of the cost of most audio engineering schools. 35 year veteran Producer/Engineer Karen Kane has 15 years of experience teaching audio engineering, starting with Harris Institute for the Arts in Toronto, where she earned “favorite teacher” from her students. In addition to over 10 years of teaching audio engineering classes independently, she recently joined the faculty at the University of North Carolina at Wilmington and is teaching the Recording Technology program there. If you are interested in improving your skills in your own home studio or want to begin a career in the music industry, consider signing up for these classes. Some of the classes are taught at Karen’s Wilmington recording studio and some are taught at a different Wilmington location. See links below for further information.